Drug discovery and clinical trials are the lifeblood of Health and Life Sciences companies and Contract Research Organizations (CROs) are no exception. Harmonized, high quality information related to drug discovery, clinical trials operations, medical monitoring and commercialization of drugs is critical to CROs like Quintiles. Quintiles leverages a tailored, multi-domain MDM platform to gain a holistic view of business-critical entities such as investigators, research facilities, clinical studies, study sites, and subjects. This enables optimum selection of investigators for a given trial, improved patient recruitment and site startup, management of non-performing sites, and risk-based monitoring of active studies. An innovative data governance program was essential to improve data quality via successfully partnering with business. John Poonnen is the Director of Product Engineering & Delivery, Infosario Data Factory for Quintiles Inc. a leading CRO based in RTP, NC. He is a business & technology leader with a broad range of expertise in information systems and over 30 years of software development, product management & systems engineering experience. His current focus on Advanced Analytics, Information Architecture, and Software Product Engineering coupled with his expertise in health & life sciences, financial & government domains uniquely qualifies him to be an active change agent and technology evangelist. He holds a bachelor’s degree in Electronics & Communications Engineering from the Indian Institute of Science and an MBA from the Indian Institute of Management, Ahmedabad. 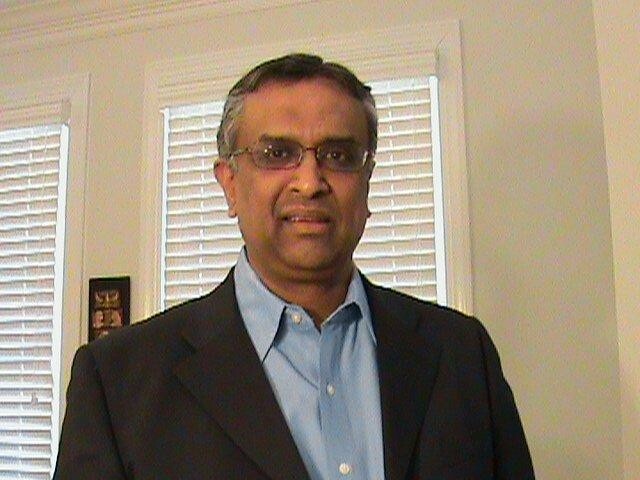 He is an active professional member of NC SIM, NCHICA & has been an active speaker at BCBS Information Management Symposium, Triangle Area Analytics Group, Informatica World, TDWI BI Executive Summit , MDM & Data Governance Summit conferences and is currently an advisory board member for the Professional Health Sciences Informatics Master’s program at the University of North Carolina Charlotte.